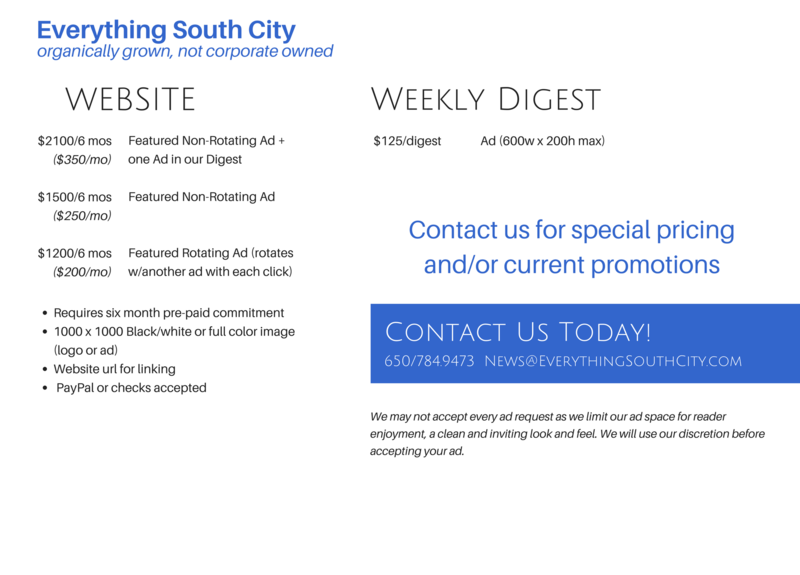 ADVERTISE with Everything South City – Make Your Marketing Dollars Work For You!! 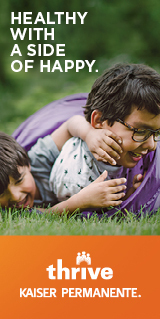 If you are a business seeking to reach your target customers in the San Francisco Peninsula you cannot afford to miss our advertising opportunities.We limit the ad space on our website to keep it looking clean and inviting. Similar size ads often run $800- $2000 a month with so many websites overrun with ads and pop-ups making the content difficult to read. Not us. 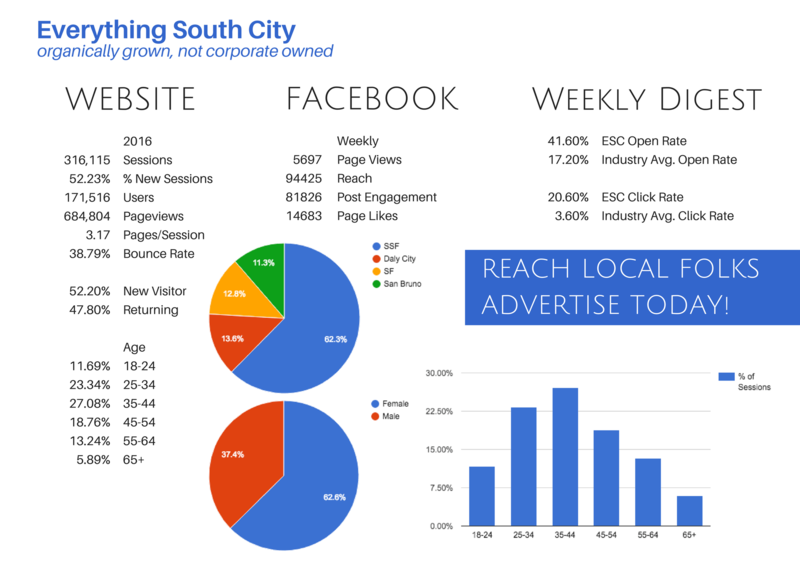 Plus our stats show heavy traffic to our site with the majority of it from the very local neighbors your business needs to reach. Your customers are waiting to learn about you now! 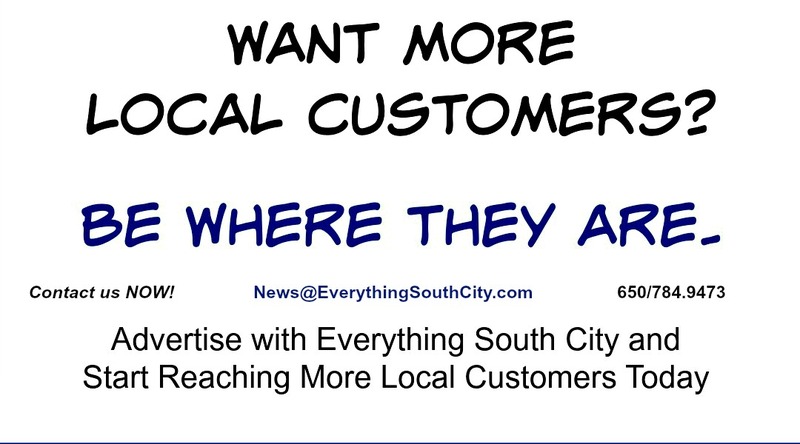 We also value our sponsors, those community minded businesses who may not need the visibility to gain customers yet they support our efforts realizing the important part Everything South City brings to South San Francisco. Our neighbors appreciate this support and the recognition our sponsoring businesses bring to us all.